Give us a call, 831-484-1921, we have real live people to answer the phone! They know what they are doing and are happy to help you out. ZUMASRUS has a full service machine shop and engine rebuilding facility. Our technicians have over 100 years of experience in the motorcycle/scooter industry. YOUR job is as important to us as it is to you. We take great pride in the quality of our service and our products.  The following pages represent only some of the products available for your ZUMA, and our product line includes the older as well as the newer Zuma Scooters. Also the complete 2008 fix it kit! For a free catalog pease e-mail, phone, or fax us. We will be happy to send you a catalog. A Free Catalog link at the bottom of the products pages.